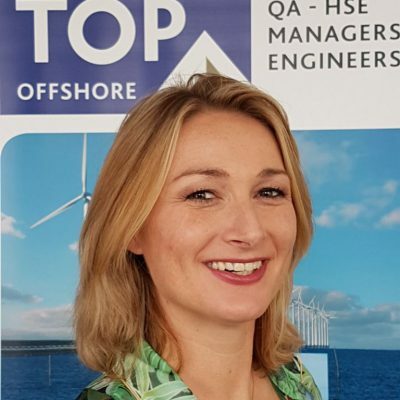 My name is Debbie de Boer and I have been working at TOP Offshore since 2015. In addition to my Communication Study, I worked for years in the administration within a construction company. After my study I started working as a study advisor for higher education programs and in 2010 I switched to Start People (USG part). Here I started as an intermediary for administrative staff and soon working within consultant technology. In 2014 I won a USG prize (STAR ​​AWARD) for my work within Start, I did everything I wanted to do and was ready for a switch to a specialist position, with depth. I found this within TOP Offshore. What Im really drawn to within TOP is that TOP looks further than the ‘shifting of resumes’. It doesn’t matter if it’s a client or candidate, it’s about the person who’s sitting opposite. It’s not all about the hard requirements, but also about the soft skills. We arrange everything ourselves from A to Z, which means that we also understand the processes and know what we are talking about. This will all result in the perfect match! Partly in collaboration with TOP Management Consultants, it makes us know what we are talking about and what makes us strong as recruiters and as an organization.